Elderberry wine is one of the few home-made wines that resemble (and can actually be better) than those made from grapes. The tradition in England goes back many centuries. All of our Elderberries are wild-grown and normally harvested locally here in Herefordshire. However, due to high demand, we are now bringing these in from other EU countries when required to meet customer needs. 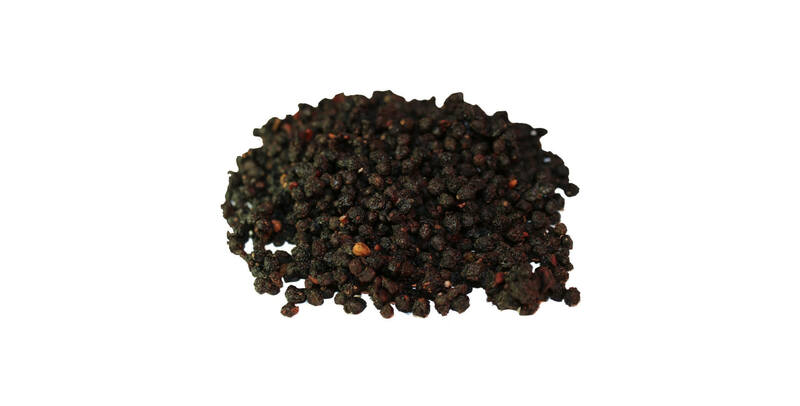 The Elderberries are dried professionally, resulting in an exceedingly good product. It seems that 250g of dried Elderberries equals 1.5 Kilo of fresh ones. You can also add Elderberries to many dishes. They add a unique flavour and enhance each dish in subtle ways. Why not try some in your cooking? The most basic Elderberry syrup recipe consists of just dried Elderberries and Honey. Placer water and Elderberries into a pan and bring to the boil. Cover the pan and simmer for approx 45 minutes- or until the water has reduced by half. Remover from heat and allow to cool until comfortable to handle. Pour through a sieve into a bowl. Allow to cool until lukewarm and add the Honey. Stir well and when well mixed, pour into glass jars and seal. Note: This is a seasonal product and buyers should enquire prior to ordering 25 kilo+ as to availabilty/ delivery date.